One of our corporate pillars is an involvement in and support of the communities in which we live and work. 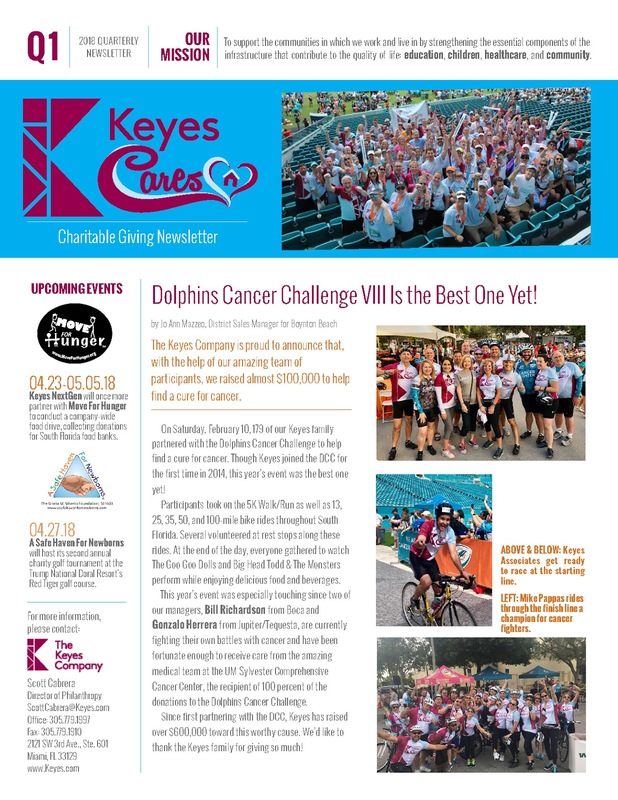 The first three months of 2018 allowed us to truly showcase the care that Keyes and our Realtors have for our neighbors. 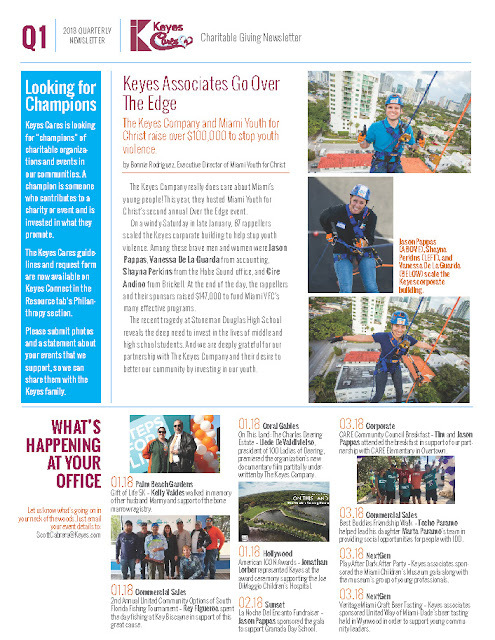 Whether cycling in the Dolphins Cancer Challenge, or rappelling down a Miami landmark, we took every chance to help affect change for the better in South Florida!